Design is on back of T-shirt. 100% cotton high quality, candy pink T-shirt. 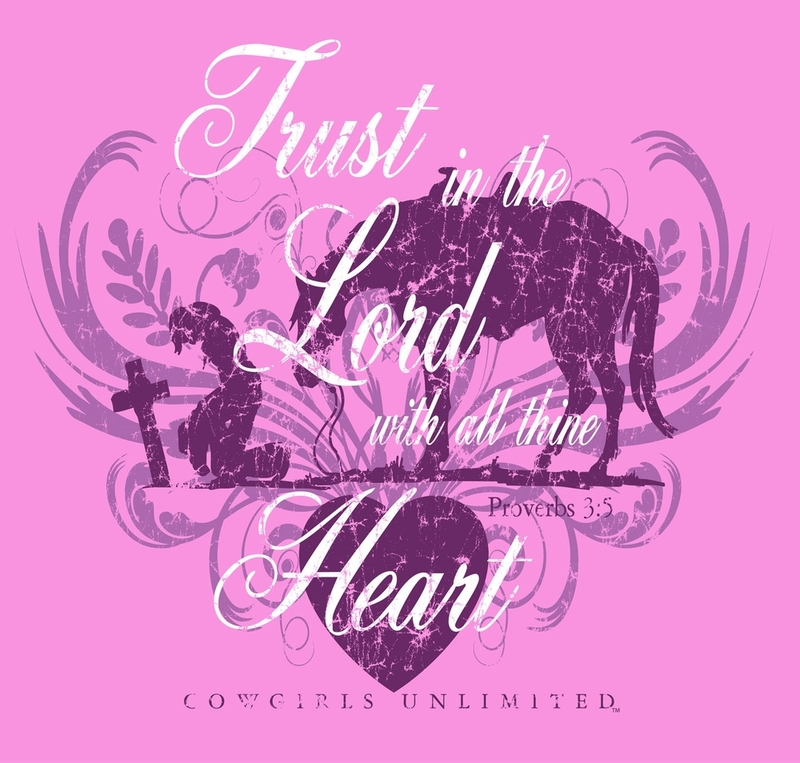 Cowboys Unlimited T-shirt: "Trust With Heart" Usually ships within two business days.